When is the last time you were professionally photographed? 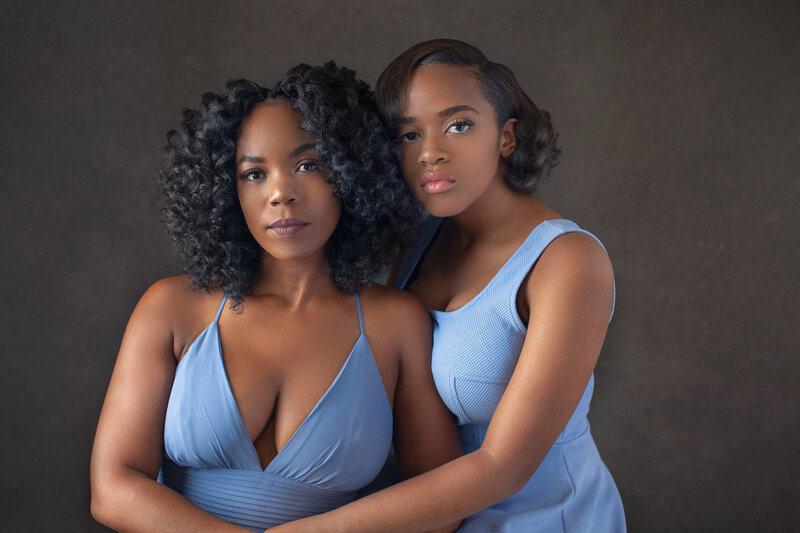 This holiday season, take your holiday cards to the next level with a magazine style portrait session with Love Byrd Photo. These exclusive holiday sessions are the perfect way to not only have elegant portraits for your holiday cards but also have portraits that you can hang in your home, give as gifts, or to just update your family portraits. Your photo experience will include a quick phone consultation to learn more about your family and planning for your session, a 30 minute photoshoot, and a final reveal appointment where you choose your images for your holiday cards and can select any additional products you’d love to have in your home or gift. Due to the limited time, hair and makeup is not included however, I can connect you with hair and makeup so you look and feel fabulous for your portraits! When you arrive at the studio, I will greet you and we will have a quick chat and introduce everyone. I will pose you and direct you the whole way. We will have some great laughs and loads of fun. Prior to you leaving, we will scheduled your reveal appointment for a few weeks after your photoshoot where you will select your holiday card, your 2 images, and any additional products you would love for your family. Once your order arrives, generally within 2-3 weeks, I will be in contact with you again so you can pickup your holiday cards and order. Then you can send your cards out to family and friends in time for the holidays! Holiday Portrait sessions are in studio only and are available on 11/18/18 for the following times: 9:30 AM, 10:30AM, 11:30AM, 12:30PM, 1:30PM, 2:30PM, and 3:30PM. Are you ready to book your holiday portrait experience? To book your session, simply submit your payment through the BOOK NOW button to get started. Session fee is due upon booking and your payment can be made conveniently through Square. I will be in contact with you to confirm your booking and will also send you a guide on how to prepare and outfit ideas for you and your loved ones. I cannot wait to create timeless, elegant portraits that will last you generations! *Session fee, once paid, is non-refundable and non-transferable. Once session fee is paid and session contract signed, your portrait session will be officially booked. Session fee does not include all digitals. You will receive the matching digitals for the 2 images you select for your prints, which can also be used on your Christmas card. Session fee for holiday portraits does not include hair and makeup. Session fee is subject to applicable state and local sales tax of 7%. *These sessions are for family and holiday sessions only. This promotion does not extend to maternity, headshots, engagement, personal branding, glamour portrait, or any other session outside of the family holiday category.